I was feeling a little uninspired last week as far as blogging was concerned, so it was nice to take a little break! It definitely helped, and I find myself looking forward to posting this week! Just because I wasn't blogging doesn't mean I wasn't sewing though; I actually made a decent amount of progress on things. I finished making hexagons for my PTS9 pillow and started joining them together! I should be able to finish the rest pretty quickly. I also made some progress on this Simply Color Ombre quilt! It's all pieced, but I have some work left to do before I can quilt it. 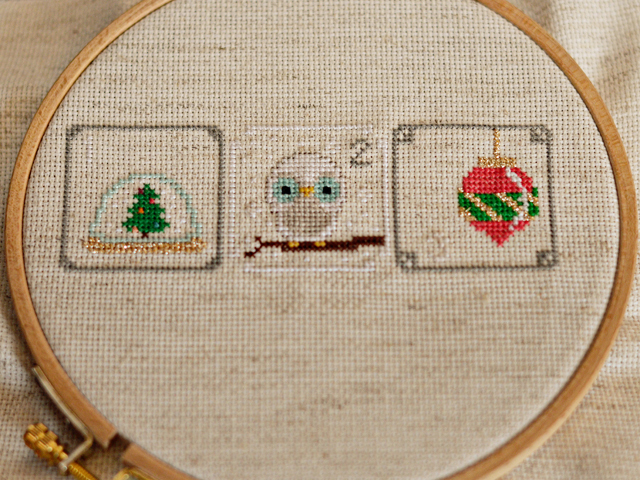 I finished two more days of my Kawaii Winter Wonderland sampler! 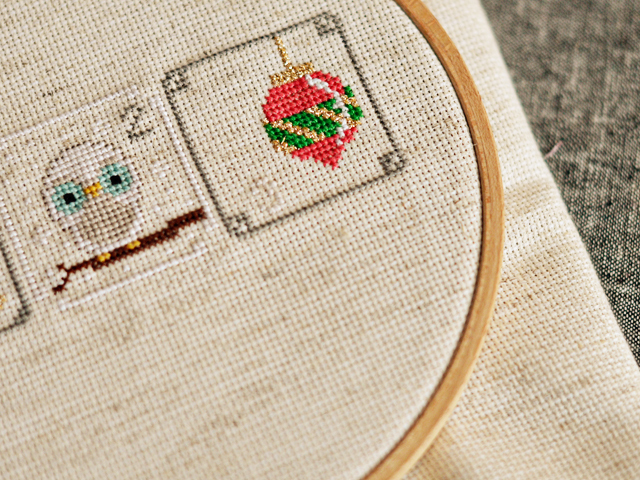 Looking forward to later this week when I'll have time to work on this again! I've really been enjoying seeing all the samplers pop up on Instagram (use hashtag #kawaiiwintersampler to add your photos)! Just look at those hexagons! congrats on the move back to the bedroom. 11 months - wow! 11 months is forever! By the time you get in there it may not feel like your room anymore :-). 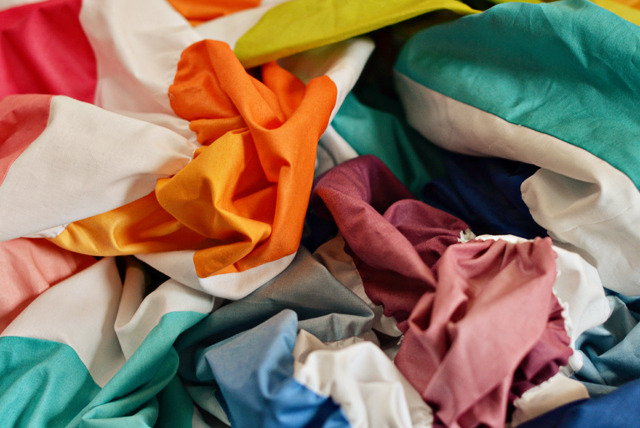 I'm glad you had a good week of relaxing sewing rather than blog sewing. Love the look of those hexies framed in white! hexies are just a masterpiece!!!! How you have made this withe edge around them? I'm amazed! 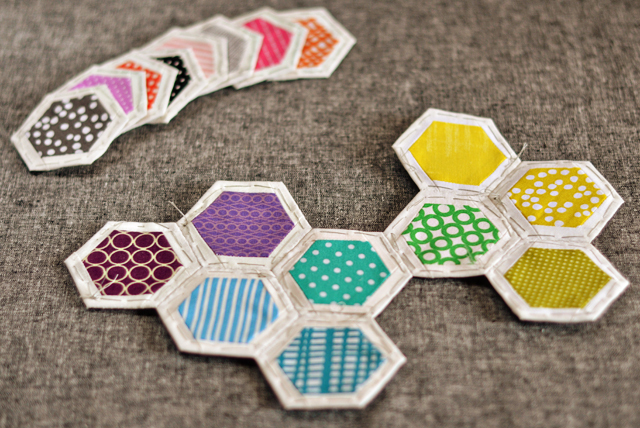 I also am dying to know how you made your hexies with the white frame around them. It really makes the bright fabric you've used pop.